You&apos;ll benefit from reading through this quick list of twelve important things to avoid while traveling in China. A lot of these things are common sense. Of course, you&apos;ll have very different experiences if you are touring with a good personal tour guide or are a part of a good tour group. If a guide does a good job, he or she will try to steer you away from these issues. But if you attempt to go alone to China, you&apos;ll need to remember these points concerning food and drink, travel, and shopping that might ruin your trip and so keep safe, happy, and healthy. How much fun will you have if you get sick during your trip? A general rule of thumb for safe food and beverage is GET IT HOT! This rule especially helps when you are at street stands or cheap restaurants. Hot food and beverages kill bacteria, harmful viruses, and parasites. Even if you see the locals happily eating lukewarm or cold food, they have great immunity resistance to the local sicknesses acquired from living there all their lives. You don&apos;t want to spoil your trip by getting ill unnecessarily. At restaurants and street stands, the food might be let to sit uncovered out in the open for hours. 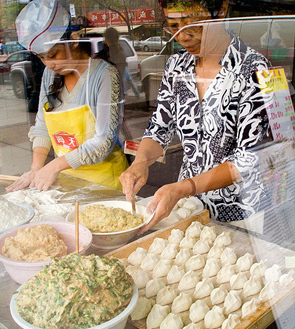 In hot and humid summer weather in southern China, the food can quickly get contaminated. Likewise, Chinese markets and supermarkets sell a great variety of delicious fruits and vegetables, and perhaps you&apos;ve never seen many of them such as dragon fruit and persimmons and local kinds of bananas. But in general, unless you&apos;re at a higher class restaurant, avoid fresh salads or fresh fruits you don&apos;t peel yourself such as bananas, tangerines and dragon fruit. The Chinese follow these same rules of thumb out of habit or as cultural norms. These dietary taboos started because Chinese have traditionally fertilized their fields with raw manure and wastes. The more you learn about Chinese ideas about health, diet and food preparation, the more you may be surprised. Some of their taboos such as not eating uncooked vegetables make sense in their culture. Don&apos;t drink the tap water unless you boil it or put it through some kind of filter. Chinese themselves never drink tap water directly even in Guilin where the piped water is reputed to be of high quality. A lot of Chinese won&apos;t even drink cold drinks in the hot summer. Chinese traditionally drink boiled hot water, hot drinks or hot soup even on hot days. You can get bottled water everywhere. Hot boiled water is generally free at restaurants and hotels and even in trains and train stations. More Chinese health and medical information. Remember your passports and visas. It is very important that you have a valid passport and a visitor&apos;s visa for most of the entry points of China. However, new rules allow visa-free visits to some major cities that are tourists&apos; favorite destinations. Some regions of China such as Tibet require special permits. Hong Kong and Macau offer long-term visa free visits for qualified travellers. Those who plan on leaving mainland China and returning should consider a multiple-entry visa. Make sure you have all of the documents you need in order to have smooth and enjoyable travel. Inexperienced foreigners are a target for skilled con drivers. They wait outside of airports, train stations, and at places tourists go. Because foreigners might not know how a real taxi looks or operates or what the taxi fare is supposed to be, they are easy targets. A favorite trick of some taxi drivers is to take passengers on a detour. Hopefully, you&apos;ll get out without a major crime, but he might charge an extra high fare. Some drivers overcharge, don&apos;t run the meter, or give back fake money as change. Beware of "the black taxis" people offering rides in their personal unmarked car or van. Often they are people who are honestly wanting to make some extra money. 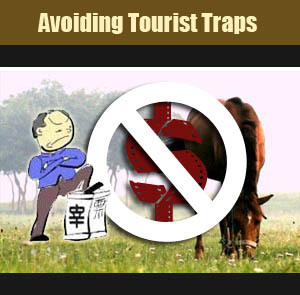 But it would be best for foreign tourists to avoid these since you don&apos;t know what to expect or look out for. Our advice for new tourists is to avoid taxis unless you are with a trusted experienced friend or guide. The subway and bus systems are cheap and fine for city transport. 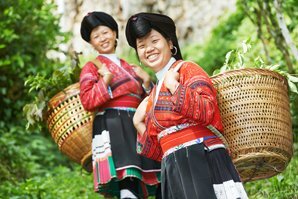 We provide experienced guides and personal transportation on our tours. More on Chinese taxis. We make a promise to our clients: no tourist traps or forced shopping. What is the background to that promise? Unwary tourists might go on a cheap tour that sounds good, but when they get in the bus, they are taken from one tourist shop to another, with little time at the advertised sights. Those operators might have arrangements to go to restaurants where you&apos;ll be overcharged for mundane food. See the difference between a tourist trap restaurant and good restaurants. The worst "tours" use even worse means to get your money. Crime sometimes happens, or you might get threatened or bullied. As a tourist, you might not know where you are, or quite how to speak to the locals, or get police help, or how to go where you want. 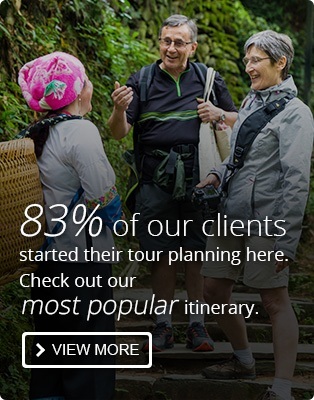 To avoid all this, go with a nationally licensed tour company that has a good reputation with international tourists as we do and have a money back guarantee. Similar to a bad tour operator, tourist traps generally overcharge for a third-rate experience, or they are simply places not worth going to. They may be passed off as top attractions. You are likely to be bored or disappointed by them. Unless you want to experience Chinese holiday festivities or tour with crowds of student and holiday tour groups at China&apos;s main attractions, you can avoid much crowding at the travel highlights and also get lower rates for hotel rooms and tickets and more convenient transportation by going when it isn&apos;t a national holiday season or school and university vacation time. See the dates to avoid. Be on guard. This type of theft is common, and especially common at places where tourists like to go. When you travel, keep your bags next to you and watch them. Local Chinese will often sit for a meal with their bags right beside them on a chair or on their laps. Keep everything zipped up and watch your pockets especially in crowds, trains and buses. The last 15 years has seen an great increase of passenger vehicals. From maybe 10 million in 2000 to 200,000,000 now. So most Chinese drivers have only been driving for a few years, and many are inexperienced, and big city streets are getting crowded. Pay extra attention when crossing a street. They have there own cultural rules of the road that you don&apos;t know. Chinese drive on the right side of the road as in the US, so if you are from a country that does the opposite, be extra careful and watch both ways. Read more about safety in China. 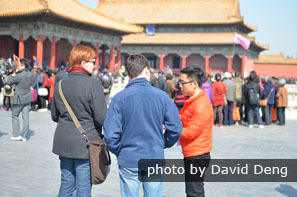 In general, it is good for tourists just to use Chinese cash in China, unless you have a Chinese banking card. 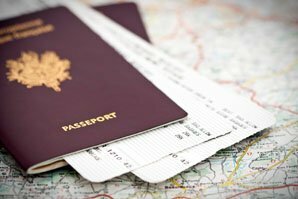 Foreign cards use might incur a big fee. The use of other currency is not legal and seldom happens. However, the highest denomination bill is 100 RMB. So you have to carry a lot of paper cash to purchase something expensive. Try to carry low denomination bills like 5s and 20s to purchase common things such as water or drinks or to pay taxi fare. Be on the lookout for fake bills though. You might find fake paper money for as little as 1 RMB. Cashiers often save fake coins to give to tourists. We suggest study this to see what real money looks like. Everything can be faked. Sometimes, it doesn&apos;t matter much if a garment or piece of electronics is fake if it serves your needs or looks good and is cheaper. But no one wants to have a defective product that doesn&apos;t work. When shopping in China, as much as possible, check and test the products carefully. Most stores will not allow returns for anything, though some have a stated policy of allowing returns or replacements or for paying money back. Be aware that even the food might be fake too. Artificial meat made from flavored cardboard was in the news lately as was artificial rice and artificial eggs made of wax. Some tourists fall victim to tourist related scams. An individual might approach a tourist and ask to show them around the city or act like they are trying to be friends. Then they are taken to a restaurant where the bill is outrageously high because it is a scam. Or they might try to take you to a place where you are alone, or they might tell you a story for money. 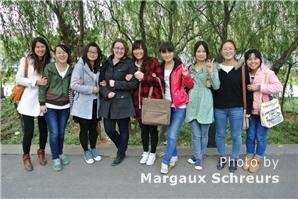 Travel with China Highlights and our experienced and well-trained guides will help you avoid scam artists and tourist traps. 8-Day Beijing, Xi&apos;an, and Shanghai Tour: This is our most popular introductory tour to China. It is modifiable as you want. 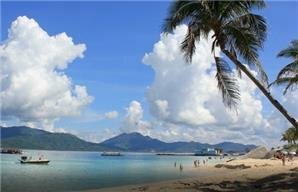 You can also create your own dream trip, or see more of our China tours.